A lovely smooth mint - plenty of minty flavour without being overpowering! A rich dark chocolate encasing a smooth peppermint flavoured fondant centre - they don't make them like this anymore! Then again why wold they need to when this one is here and can't be beaten! Another classic from Fry's we know you'll love them - which is why you get 3! This price is for 3 bars. 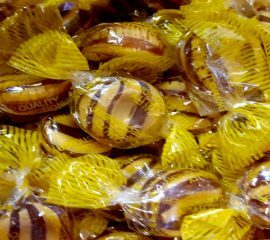 The iconic humbug - you think of a mint and this is what you imagine... the taste of this handmade gem won't let you down either! We also do brown and white humbugs too! 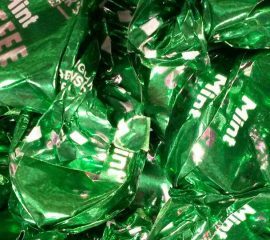 Did you know the Everton mint got its name from a lady or used to make them to sell to the Everton football club fans when they were on their way to the match...just a bit of history for you! 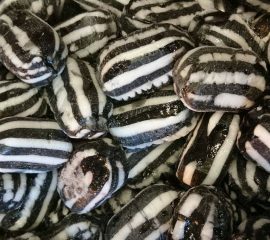 Anyway back to the mint - black and white striped mint with a toffee centre. 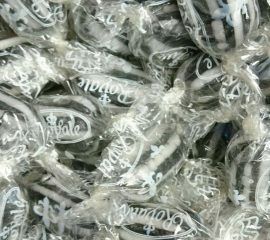 Our ones are handmade and we have been assured by many happy customers they're delicious! A wrapped mint fondant drop - great to keep in your pocket especially on a cold day! 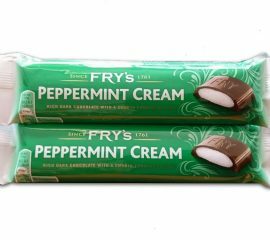 We've been told they're really similar to Clarnico mints so if you're a fan of those then give these a try! 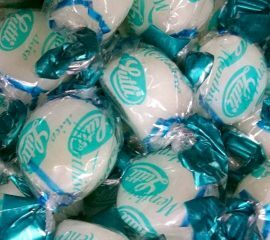 Who remembers these...the mints normally in a glass jar and left or you to 'help yourself'. Well why not have more then one...have as many as you like instead! 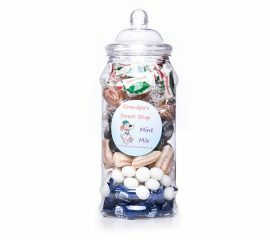 A jar of minty freshness...with a selection of mints to suit every taste there's sure to be one for everyone in this jar! The jar is 23cm high with a 9cm diameter and is filled full of wonderful sweets - this one holds well over 550g (you're likely to get more then this!) 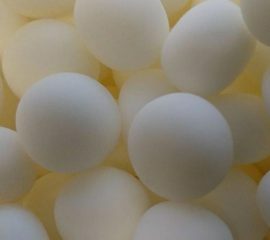 Please note we no longer stock foxes mints as in the picture but will replace this with mint fondants! Sometimes (not very often!) we may be out of a particular sweet, if this is the case we will replace it with a sweet of the same great taste and quality! A hamper made up of all those sweet that are warm and comforting - from herbals to mints and some in between! If your after a hamper of those old time sweets to bring back memories from days gone by then this is a good place to start! 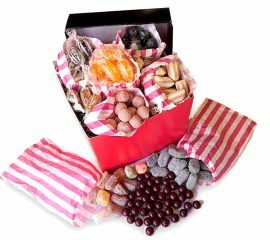 Fancy a hamper with less emphasis on mints and herbals but still full of classic charm have a look at our 'Classic Sweetshop Hamper' This hamper measures 17.5cm x 17.5cm x 15cm and contains at least 1kg of tasty sweets, it's finished off with a bow too - making a perfect gift! This hamper contains: 100g x Handmade Brown & White Humbugs 100g x Aniseed Balls 100g x Troach Drops 100g x Handmade Army & Navy 100g x Bulls Eyes 100g x Handmade Winter Mix 100g x Handmade Grandad's Herbals 100g x Handmade Brandy Balls 100g x Handmade Everton Mints 100g x Barley Sugar At times we may be out of stock of a particular sweet (not often), when this is the case we will include a suitable substitute of the same of great taste and quality.